Aromas of spicy red fruits, an expansive bouquet of black cherries, chocolate and herbs and a seductive full bodied flavour. 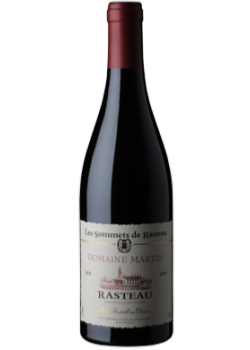 Rasteau is located 25 kms northeast of Chateauneuf du Pape. A blend of Grenache 60%, Syrah 25% and Mourvèdre 15% with an impressive intensity and fruit power. This wine has great balance, is rich and aromatic and with 4 years bottle age is perfect.